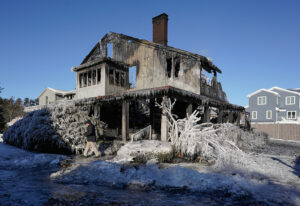 Walking past a burned house covered in ice, Chris Stanford, a senior Investigator with the State Fire Marshall’s office, examines the scene of a fire at 311 Seaside Avenue in Saco on Thursday. Frigid temperatures made fighting the structure fire difficult for firefighters. 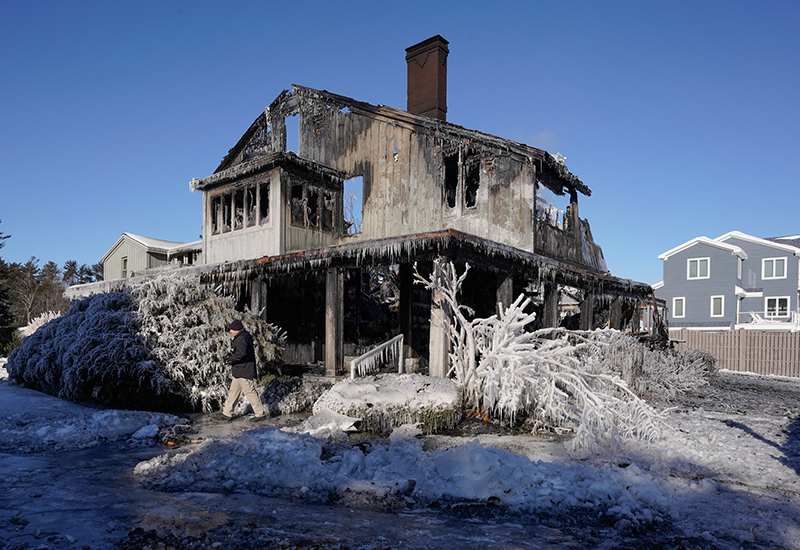 Walking past a burned house covered in ice, Chris Stanford, Senior Investigator with the State Fire Marshall’s office, examines the scene of a fire at 311 Seaside Avenue in Saco on Thursday. Frigid temperatures made fighting the structure fire difficult for firefighters.